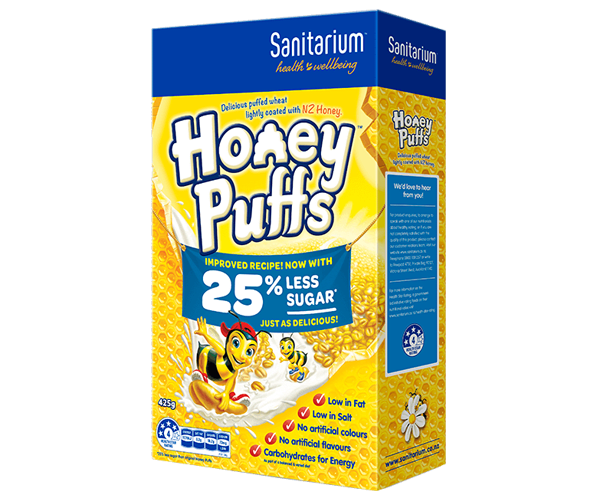 Sanitarium Honey Puffs offers the combined attributes of taste and fun. 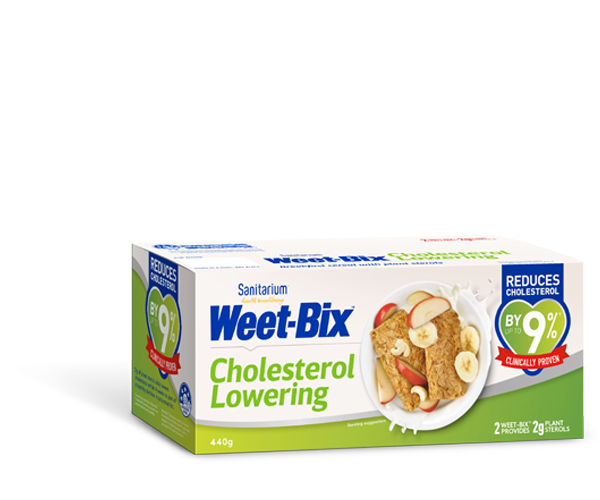 It contains puffed wheat lightly coated with New Zealand honey and is a fun way to start the day. Puffed wheat (76%), sugar, honey (5%), corn maltodextrin, natural flavour, salt, acid (acetic), natural sweetener (stevia extract). Contains wheat. May contain milk, sesame, soy, tree nuts, sulphites, and other cereals containing gluten.